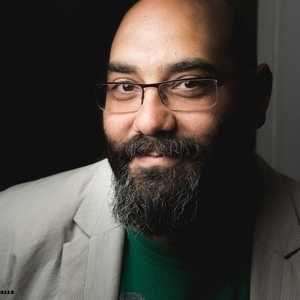 Matthew Shenoda is a writer, professor, and university administrator whose poems and essays have appeared in a variety of newspapers, journals, radio programs and anthologies. He has been twice nominated for a Pushcart Prize and his work has been supported by the California Arts Council and the Lannan Foundation among others. Shenoda began his teaching career in the College of Ethnic Studies at San Francisco State University where he taught for nearly a decade and has held several faculty and administrative positions at various institutions. Formerly the Assistant Provost for Equity and Diversity at CalArts where he also taught in the School of Critical Studies and the Dean of Academic Diversity, Equity, and Inclusion at Columbia College Chicago where he was Professor of English and Creative Writing, he is currently the Vice President of Social Equity & Inclusion and Professor of Literary Arts and Studies at Rhode Island School of Design (RISD). Additionally, Shenoda teaches in the low-residency MFA Writing Program at Pacific University and is a founding editor of the African Poetry Book Fund. Matthew Shenoda has been a guest on 1 episode.